Inside the enterprise, driving change isn’t easy. A true digital transformation requires a champion—one person who believes in the power of inbound marketing and is willing to take a risk on a new direction, methodology and technology. Here at PR 20/20, we call this person the enterprise change agent. We’ve helped many change agents implement inbound marketing, and prove MROI to leadership. It doesn’t happen overnight, and every journey is unique. That said, their successes continue to inspire us. 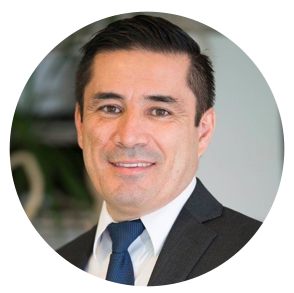 So we’ve decided to share their stories, starting with Jorge Solorio (@JorgeLubrizol), Americas Industrial Business Manager at The Lubrizol Corporation. Jorge oversees the Americas business operations for the Corzan Industrial Systems brand at Lubrizol, and has played the pivotal role of change agent over the past few years. He began experimenting with inbound for Corzan Industrial Systems, a Lubrizol brand, in 2016. This included the creation of a simple, five-page Wordpress website and blog. In January of 2017, he partnered with PR 20/20 to continue building a case for digital transformation. Read on to see how he used inbound to reach double-digit returns and drive international change. Q: What was your biggest challenge in kickstarting digital transformation within your organization? A: No one at Lubrizol knew what inbound was, or what content marketing was. The focus was on the company as a whole, as well as vertical product lines. Internally, many were skeptical especially because they’d never seen it [inbound] before, and they were used to a certain type of writing that was more focused on the corporation—not on the user of the product or service. Changing that mindset took a while. The team was only convinced once they saw actual content examples and qualified leads coming through. A: I went to Content Marketing World (CMW) here in Cleveland, and I saw a few speakers and started to look at different platforms. The first one that I started with was MailChimp. And then quickly found out that I needed a more robust system. Through reading, I ran into several references of HubSpot and started to do more research. I saw Paul Roetzer (@paulroetzer) speaking at CMW, and bought his book, The Marketing Agency Blueprint. From there, I read Joe Pulizzi’s book Content Inc., and ever since, I was looking forward to getting started with HubSpot. HubSpot has enabled the strategy to move forward. I think the idea has always been there, but HubSpot made it possible to bring all the elements together in a visual way. Coming from the sales side of things, the concept of combining the sales CRM and marketing CMS was why I ultimately decided to go with HubSpot. Teams are more aligned, and the leadership is more aligned, thanks to HubSpot. Now other Lubrizol businesses around the world are implementing HubSpot, too. With my experience and success, I’ve been tasked to internally influence and coach HubSpot and inbound methodologies. Q: How did you prove to the leadership that inbound marketing was (and is) the key to long-term business success? A: When we launched the Lubrizol website, we were getting about 200 visits per month. A year later we were close to 6,000 visits per month, and now we are at 10,000. That’s a nearly 5,000% increase! The other component is sales qualified leads (SQLs), which is key to prove marketing is producing the right content. The people who have started to follow our blogs came from companies within our targeted segment as well as the people following me on LinkedIn. I can tell that the audience listening to our message is the right one. To us, setting and monitoring KPIs made all the difference—and I emphasize indicators because we come from an engineering and chemical plant where Excel and numbers need to be perfect. So the question was, how do we get all of this into an exact science? KPI dashboards through Databox have been very helpful. I use the solution to share data with senior leaders and my personal team. In fact, anyone in the company can login and see the KPI dashboard. The phrase ROI is such a financial phrase and concept, but in marketing it’s not always a perfect science. So, having a data-driven place to report on overall trends and sales is key. When in Databox, breaking down traffic by percentages also makes it easier to understand overall performance. Q: How do you use digital tactics to create real value at each stage in buying cycle? A: To get started, we invested heavily in the awareness phase. We tried to identify key topics related to our industry and own that space. Today, if someone does a search for relevant terms we are ranking number one. That was accomplished within 12 months. Next, we focused on the consideration phase. Top-of-the-funnel content addresses problem solving, and as we move down buyers down the funnel, we bring them into what Corzan Industrial Systems is, and offer the ability to contact us via email phone or chat. Q: Which digital tactics or campaigns have been the most effective in driving MROI? A: Power generation in North America became a big focus and a new vertical for us recently. After creating helpful content, we now we have relevant companies following us. Initially we created a longer piece, like a pillar page, and sliced it into smaller pieces. Concentrating on a big piece of content is very key. Long-form, very technical information is our sweet spot. Marketing Growth Hackathons™ with stakeholders, including sales, have also proven important. After all, the sales professionals are the ones getting questions from the field, and we can write about those topics. This content has been extremely useful during the sales process. Our sales people use our website to talk to our customers, and send links and PDFs to the customer when they are consulting at their location. A: Definitely. Inbound has helped to establish us as a thought leader in the space and distinguish us from the competition. We used to spend more money on advertising than content. Content is more labor intensive internally, but more effective. For example, we had to staff up for inbound. We hired a lead coordinator, someone to review technical content, and someone to oversee all content marketing initiatives. Many new positions were created because of these efforts. Some other positions are also shifting their workload. It’s become clear that inbound is a main driver of our strategy. A: We are having double-digit returns compared to last year! And that’s hard to do at a large business. A: Make sure to have a project owner and isolate them from the day to day. Give that person the freedom to experiment and take care of the project for a few months before a decision is made. Bottom line, you need a champion to drive the effort. If you’re looking for quick results, then it’s not for you. You need someone who will take the time to look at relevant examples and align expectations. It took us about a year to implement inbound, and a year to rollout the CRM and website optimization. Management needs to understand that. And of course, read the right literature and the right books. Getting certified on HubSpot Academy is helpful too. A: I’m really excited about our international efforts. We are going inbound globally in different languages. Plus, I’m the principal mentor within Lubrizol for CRM and inbound. Our goal is to educate and empower enterprise marketing change agents to advance their careers, and drive digital transformation and performance in their organizations. Subscribe to the PR 20/20 blog for useful, actionable content to get started on your journey.